JERUSALEM, ISRAEL - DECEMBER 6: Orthodox Jewish men pray at the Western Wall on December 6, 2013, Jerusalem, Israel. The Wall is the holiest place for Jewish people. hd00:16JERUSALEM, ISRAEL - DECEMBER 6: Orthodox Jewish men pray at the Western Wall on December 6, 2013, Jerusalem, Israel. The Wall is the holiest place for Jewish people. hd00:23JERUSALEM, ISRAEL - DECEMBER 6: Orthodox Jewish men pray at the Western Wall on December 6, 2013, Jerusalem, Israel. 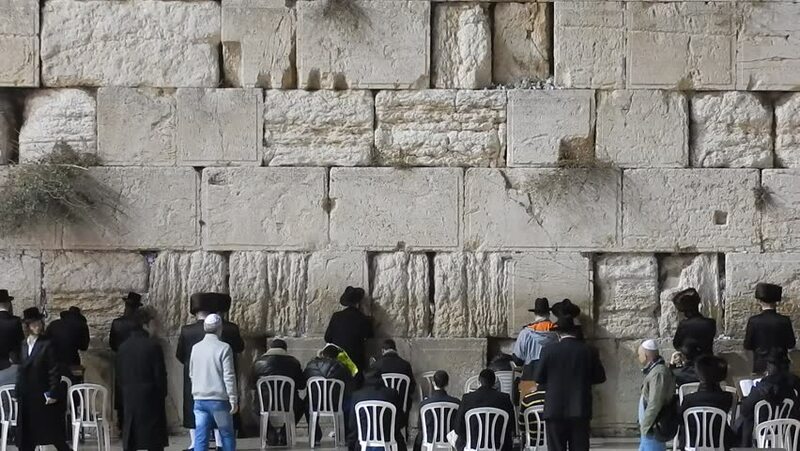 The Wall is the holiest place for Jewish people.